We've had these DIY cardboard shapes in the house for a couple of years now. 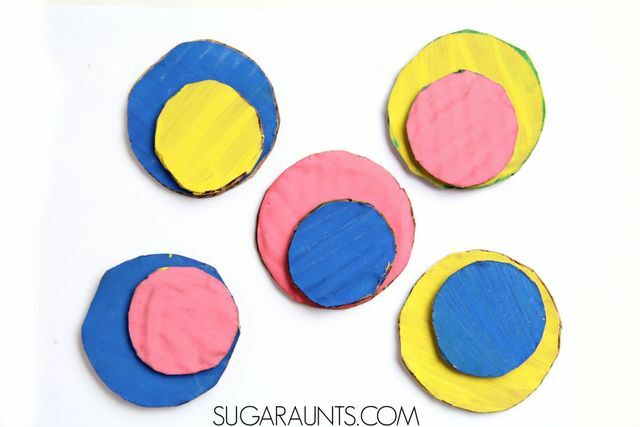 These easy Tangrams are made from recycled cardboard and large enough that small hands can manipulate and build while learning shapes and colors. We used our cardboard building shapes to create two and three dimensional shapes while encouraging shape identification for my soon-to-be Kindergarten aged son. 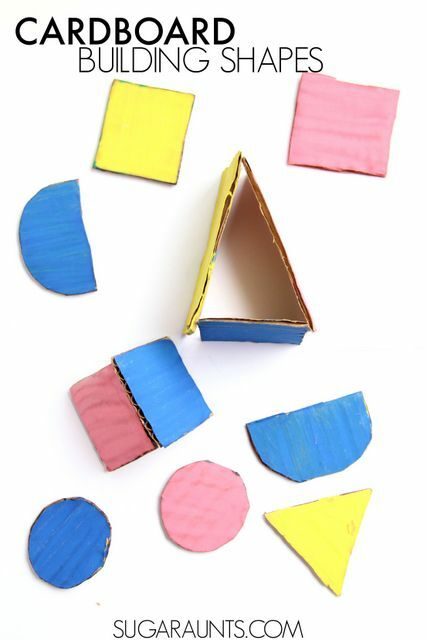 Building and copying shapes with these tangrams is a great way to practice the visual perceptual skills needed in copying letters and numbers, including visual memory and visual discrimination. We're including affiliate links for your convenience. 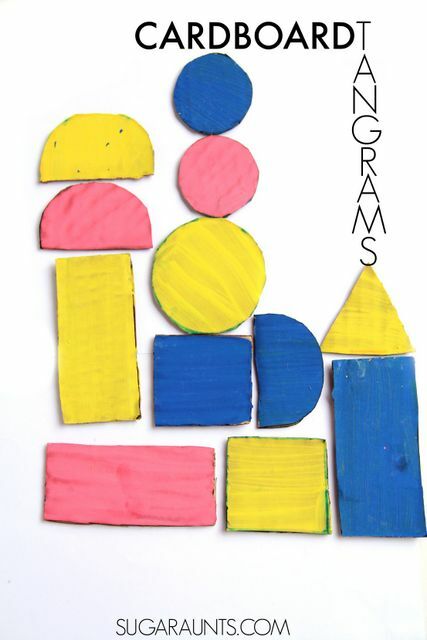 Use the cardboard tangrams to build shapes, patterns, and pictures with your preschooler. Kids can copy the shapes with tangrams. Model how to build a combination using different colors and shapes. Your child can copy the form as they build, copying from your design. For a more complex activity, build a form using different shapes and colors and cover the design as you build. They, show your child the finished form and ask them to build by copying. For an even more complex visual memory activity using the tangrams, build a form using shapes and colors. Show your child the design for 10 seconds. Then cover the form and ask them to build the form from memory. 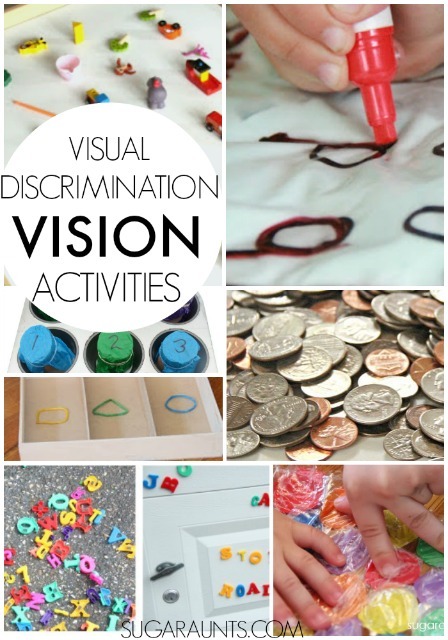 All of these activites challenges your child's visual memory skills. This is such an important area to develop for handwriting and copying letter and number forms, and then copying spelling words from a chalk board, and then recalling how to form letters and numbers by memory. 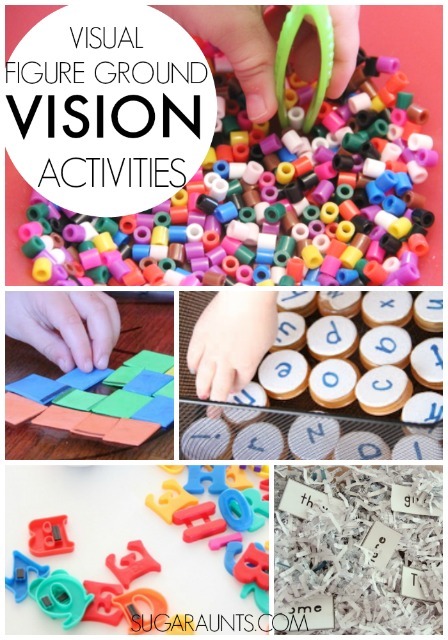 Working on visual memory, visual discrimination, and visual scanning are so important in copying letters, recalling how to make a specific letter while quickly writing a spelling word during a spelling test, and placing letters on lines in handwriting. Then there is the line awareness and spatial awareness needed for cutting with scissors. All of these areas can be worked on by playing with tangrams. You can read more about Visual Memory here. 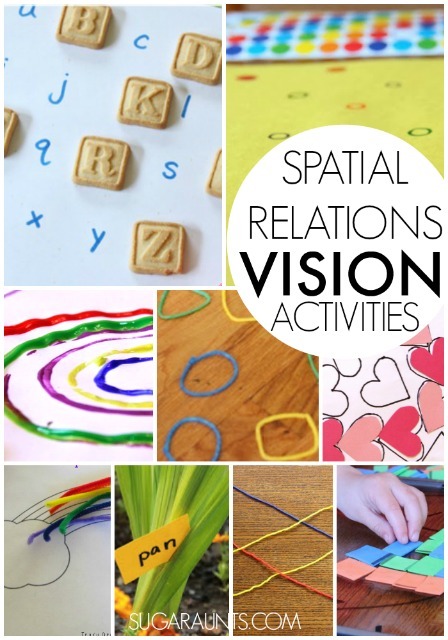 are fun ways to challenge your kindergarten and first grader in shape and 3D shape identification. 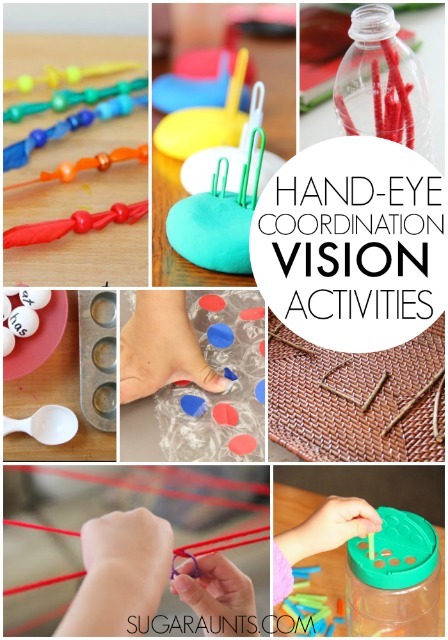 This post is part of our Learning with Free Materials series where we are sharing learning ideas for homeschoolers and school-extension activities using items that are free or mostly free (i.e. CHEAP or you already have in the home), and is part of the 31 Days of Homeschooling Tips as we blog along with other bloggers with learning at home tips and tools.